As always this event focuses on helping people become aware of various products available to us in the market. Some of these products might have great health benefits while the others might make life easy for one in the kitchen. This month we have products that fall into both these categories. 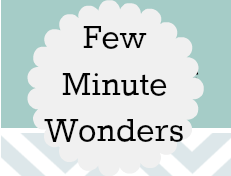 I am happy that we have two people who have sent in their entries. Thank you Priya and Usha for supporting this event and sending in your entries. Quinoa is a very popular South American grain which is gaining a lot of popularity because of its health benefits. Every super market seems to be carrying them these days. But Priya's food find is Quinoa flakes. She has used the flakes in preparing healthy Multigrain Mango Scones. 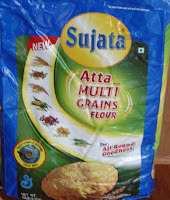 Usha has sent in multi grain flour/atta as her food find. 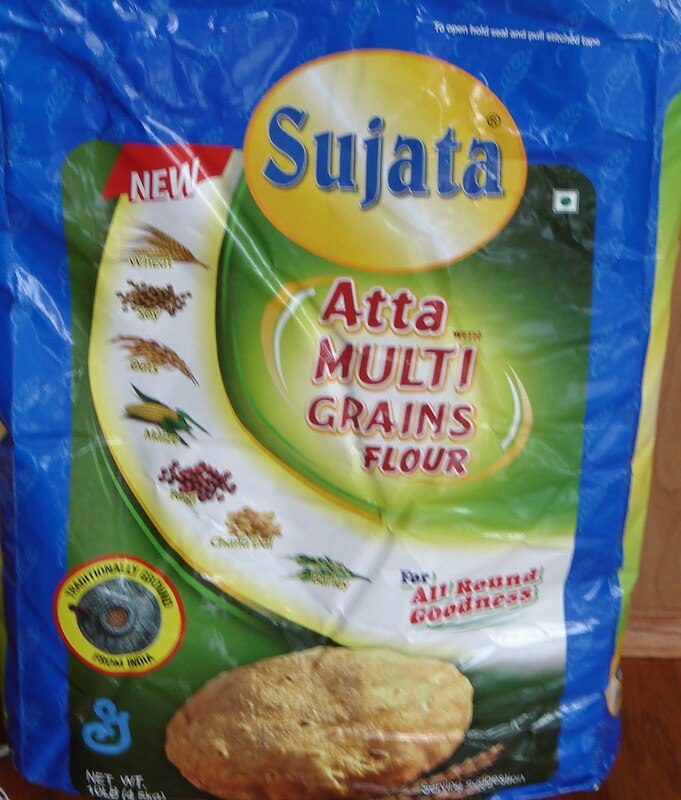 Indian stores in the U.S carry this under Sujata brand. Usha thinks that it is sold under Pillsbury brand name in India. 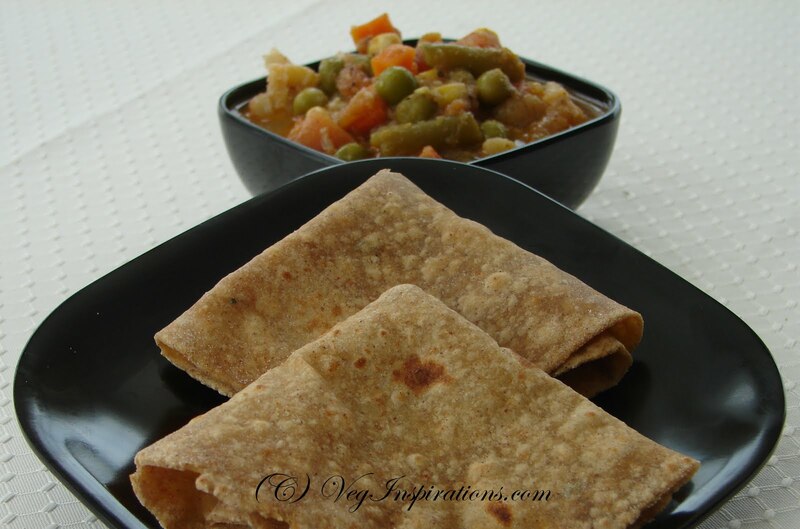 She has created perfect looking rotis/phulkas that are good for you. They have a whole bunch of grains apart from wheat. that comes in a bottle and does not have any preservatives. It is awesome for preparing butter paneer masala because it gives you the perfect color that most people look for. A must have in my pantry. 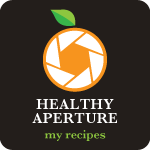 Yummy n healthy recipes...Know where to come now to find tasty recipes dear. 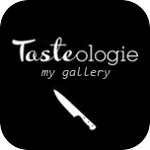 Beautiful food finds..am happy to be a part of this month food find event..